Anyone who knows me really well knows that a) I love to organize, b) I am never satisfied with how I've organized something, and c) once I get something in my head that I want to do/buy, I become obsessed with it. 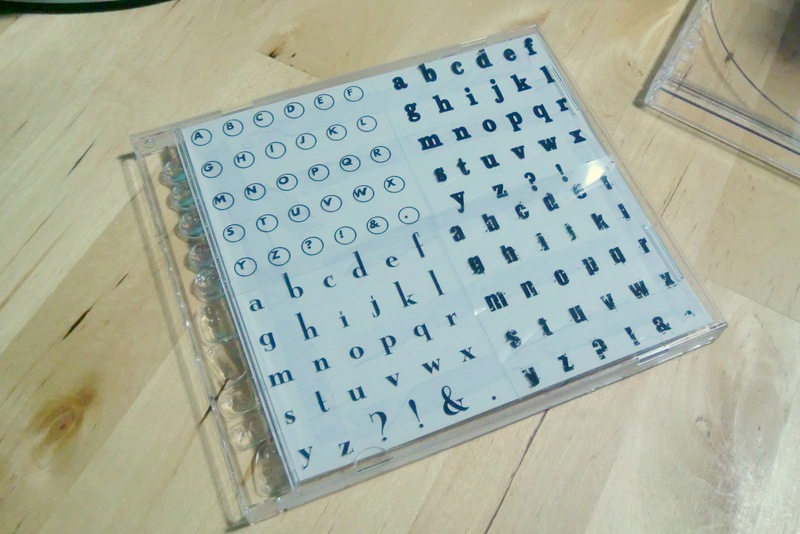 Last night I was browsing around for craft storage solutions (something I do when I'm bored) and came across a nifty way to store clear stamps. I loved the idea, and if I could have run out at 11pm last night to get what I needed, I would have. I took pictures as I did this project today to share with you all. 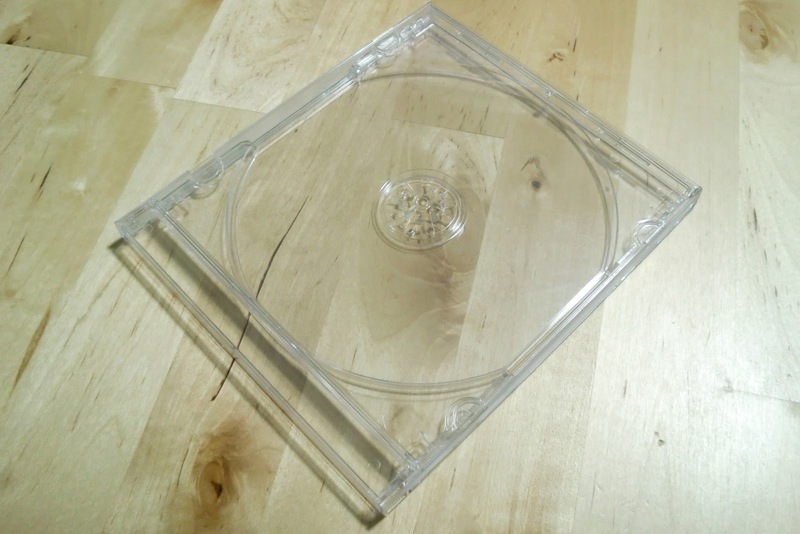 First, pick up some clear CD cases (or re-purpose ones you already own). 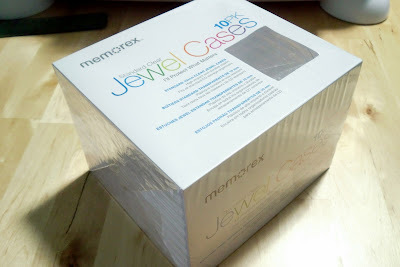 I picked up 2 packs of 10 for $2.99 each at KMart. They come with a holder inside for the CD. 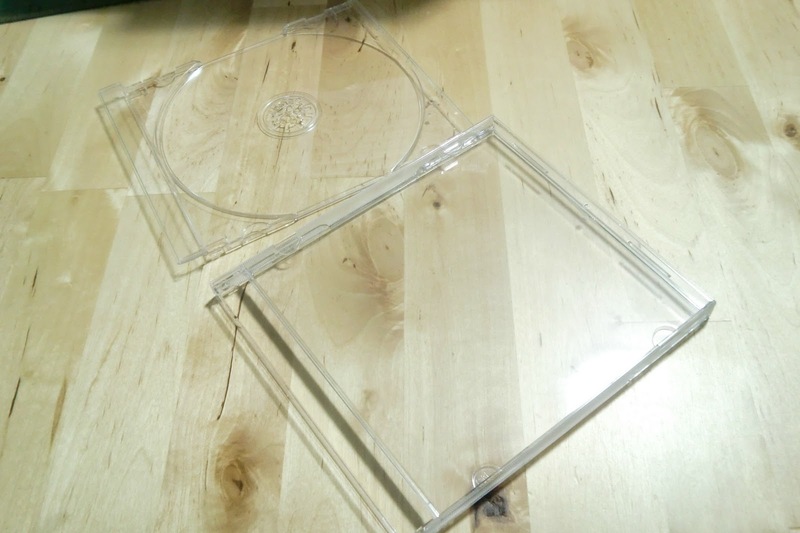 Remove this part and toss it (if you buy the regular sized CD cases, this part comes out with just a little effort. Don't buy the slim cd cases, the backs on those are usually one solid piece, so you won't be able to remove the holder part). 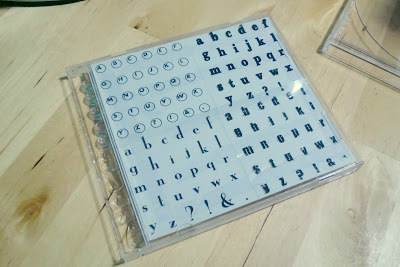 Pull the clear stamps off of their carrier sheets, and place on the inside back of the CD case. Next, you need to make a cover for the CD case. I chose to just trim my carrier sheets with the stamp images down and using scrapbook adhesive, attached them to a plain piece of white card stock. 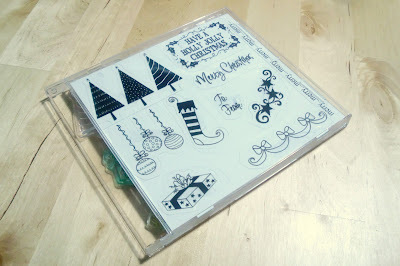 An alternative would be to actually stamp the cardstock with the stamps, but I didn't really feel like taking the time to stamp and clean every stamp I own. This baby carrier sheet actually was the right size for the CD case, but others I needed to trim and rearrange a bit to fit, such as the Christmas one. I have a lot of small sets from the $1 bins at Michaels and Joann's, so those I tend to combine into one case. 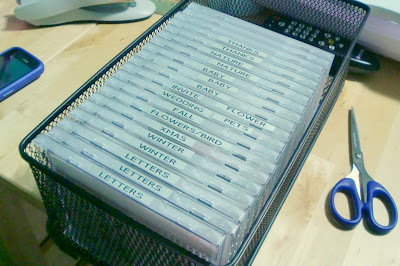 Finally, label the side of the case, and stack into a CD holder. I actually think I'm going to pick up a cuter looking CD rack at Target sometime soon, but this one I had in the garage will do for now. Done! :) I like that they are labeled so I can easily pull out ones I'm looking for without flipping through a binder, and they're neat and tidy. 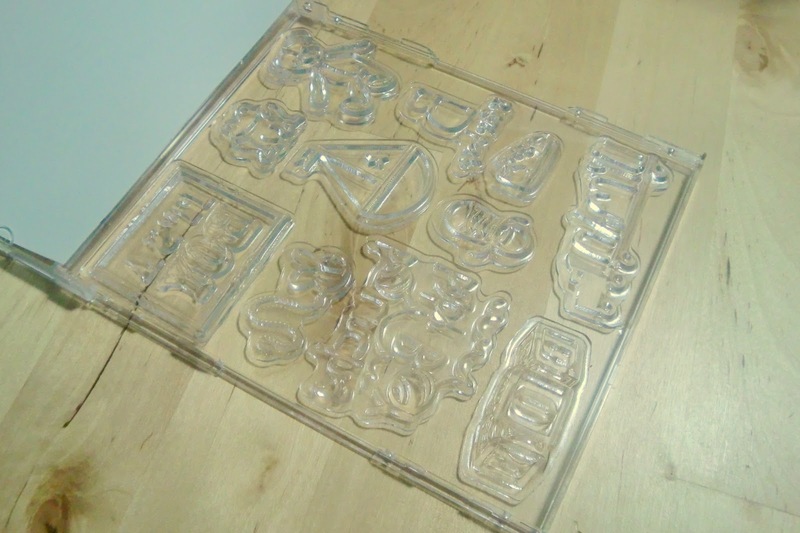 omg, how awesome is that. Thank you! 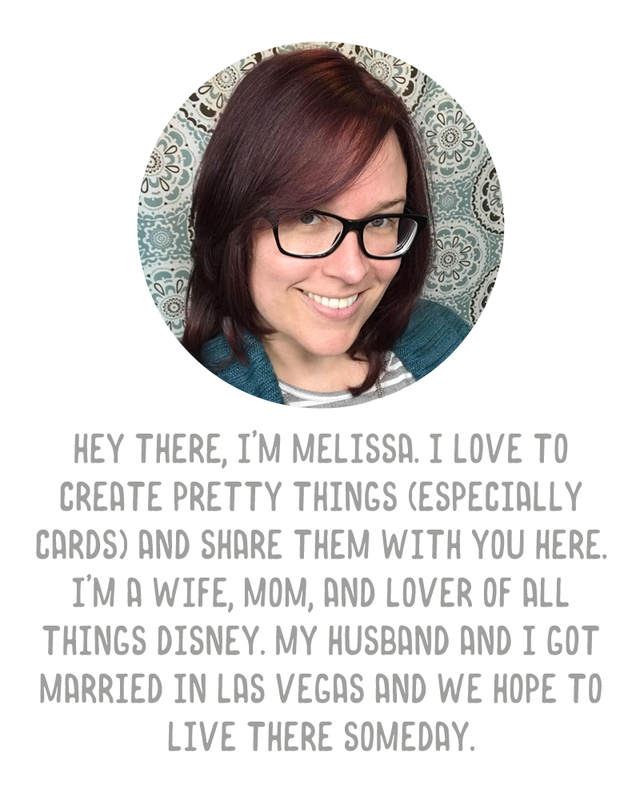 :) I know, the second I saw the idea last night I was like, "perfect!" 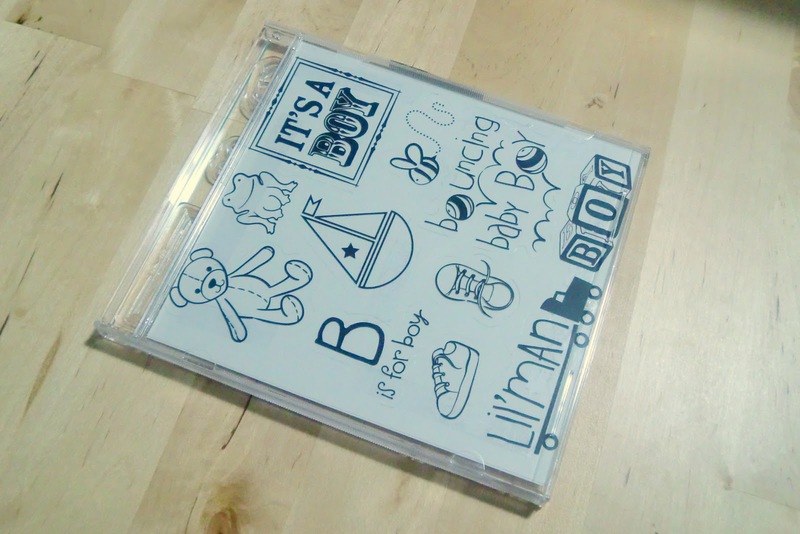 I even scrounged up a crap cd case I had to test it!